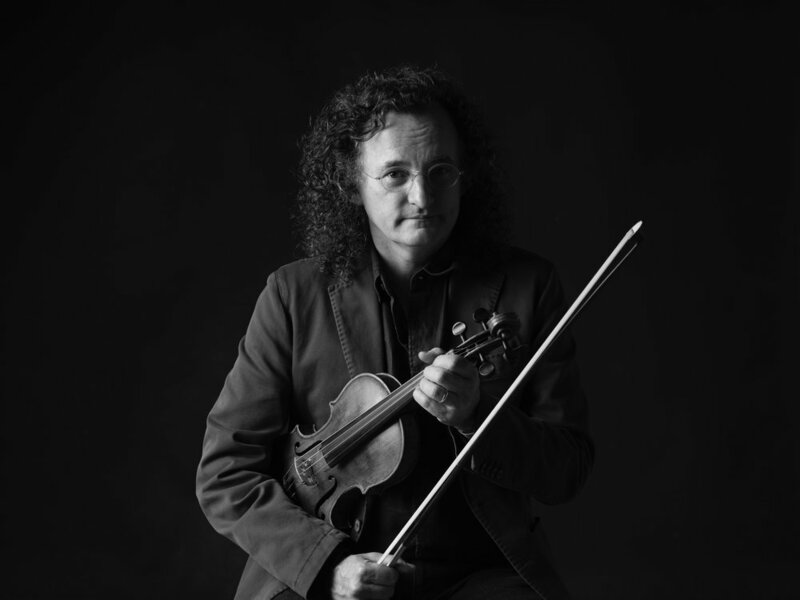 Martin Hayes is regarded as one of the most significant talents to emerge in the world of Irish traditional music. His unique sound, his mastery of his chosen instrument – the violin – his acknowledgement of the past and his shaping of the future of the music, combine to create a formidable artistic intelligence. He has drawn inspiration from many musical genres, but remains grounded in the music he grew up with in East County Clare. He has a unique ability to place the tradition within a wider contemporary context, creating a unique and insightful interpretation of Irish music. 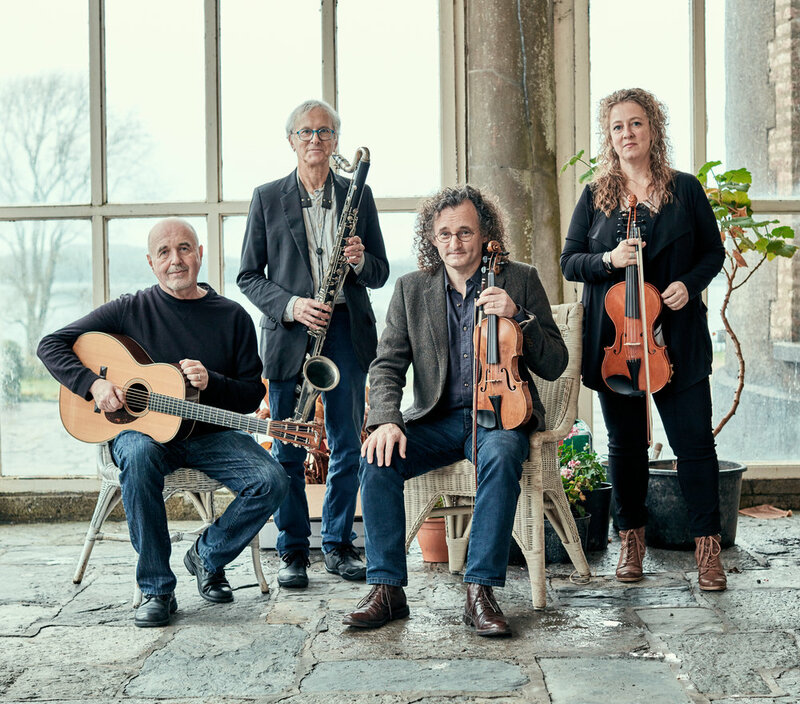 Martin Hayes’ soulful interpretations of traditional Irish music are recognized the world over for their exquisite musicality and irresistible rhythm. 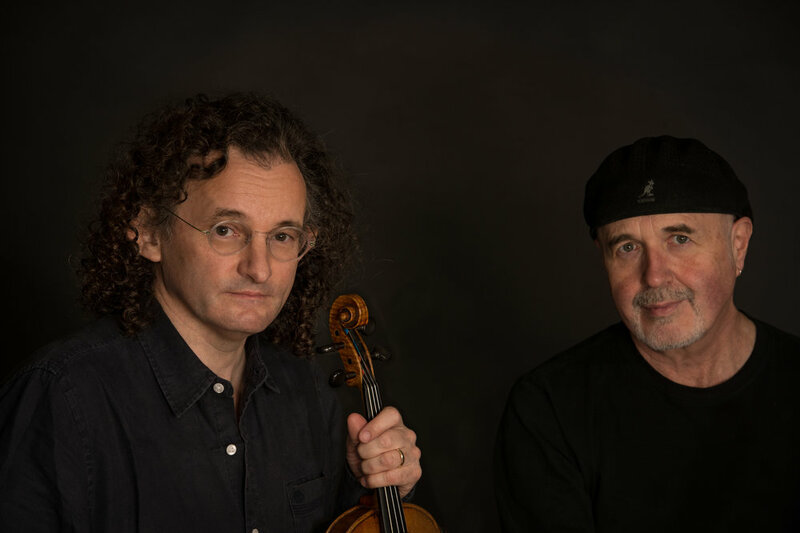 He has toured and recorded with guitarist Dennis Cahill for over twenty years, and has collaborated with extraordinary musicians in the classical, folk and contemporary music worlds such as Bill Frisell, Ricky Skaggs, Jordi Savall, Brooklyn Rider and the Irish Chamber Orchestra, RTE Concert Orchestra as well as many of the greatest traditional Irish musicians over the past thirty years. Martin has contributed music, both original and traditional arrangements to modern dance, theatre, film and television. He has performed on stage with Sting and Paul Simon and recently recorded with Yo Yo Ma's Silk Road Project. He is the artistic director of Masters of Tradition, an annual festival in Bantry, Co. Cork and a co- curator for the Marble Sessions at the Kilkenny Arts Festival. Martin has been recognized as Musician of the Year ( Gradam Ceol) from TG4, Irish language television, Person of the Year by the American Irish Historical Society in New York City and is recipient of the annual Spirit of Ireland award from the Irish Arts Center NY. He was the first musician to win The BBC Instrumentalist of the year and most recently the first to win the RTE folk instrumentalist of the year. Most recently he received an Honorary Doctor of Music from National University of Ireland Galway. He founded the seminal Irish American band, The Gloaming, with whom he tours internationally and with whom he shared the prestigious Meteor Prize in 2014 for their debut album. He and Dennis performed for President Obama and dignitaries both at the White House and the House of Representatives in March, 2011. Martin was the recipient of six All-Ireland championships before the age of nineteen and spent his youth playing in his late father, P.Joe Hayes’ Tulla Celi Band, which has now been together for more than 70 years. I grew up in a household filled with music in a locality with a rich musical heritage. My father PJ Hayes and my uncle Paddy Canny were both highly respected fiddle players in the world of Irish music. My father also led the Tulla Ceili Band for most of his adult life. The place where I grew up had its own distinctive sound and its own take on Irish traditional music. The style was characterized on the one hand by a particular rhythmic lift and on the other hand by a highly expressive lyricism. From the very beginning I loved this music and was eager to play. I got my first fiddle when I was seven and the slow process of imitation and absorption began in our kitchen with my Father as my teacher. In the learning process the dominant message always coming to me from my father and lots of the finest musicians of county Clare was their idea that music must first express feeling. In their opinion no amount of technical prowess could compensate for an absence of soulfulness. I wasn’t content to simply imitate and reproduce, I needed to decipher the deeper musical aspirations of the older musicians. I needed to get to the heart of this music. I ultimately concluded that this music at its essence is a direct and simple expression of feeling. The melodies are sometimes deceptively simple but almost always beautiful and the rhythm is both understated and entrancing. There is an innate wisdom, a kind of common sense inherent in the tunes that still continues to inform my musical journey. My mission is to express this musical essence in a manner that can be understood and felt by music lovers around the world. A fundamental driving belief for me is that the local musical vernacular can be a universal language when fully embraced. My engagement with the tradition, as I express it on stage, has become a process of distillation and translation. It is about the tune and how I relate to it. My goal is to fully reveal the beauty and meaning of these tunes. They have the capacity to come alive in your hands and in your body if allowed into ones heart where our personal experiences of joy, melancholy and love can be ignited. My playing is focused on allowing the fullest expression of the melody. To do this it is necessary for me to have body, mind, spirit and fiddle harmoniously flowing as one instrument. When the music flows well, the mind is relaxed, focused and observant, the hands just do their job, and the body is alive with melody and rhythm. At it’s best it is a truly ecstatic experience. It is this ecstatic experience that I strive to reach and share each night with both audience and fellow musicians. The great genius of Irish music is therefore contained within the melody itself. Once one knows the true essence of this music it is possible to absorb influences from almost anywhere and not alter the fundamental message of the tune, in fact ideas from a wider world of music many times can amplify the message of this music and deepen its expression. My collaborations with musicians of all backgrounds begins with the melody, with its universal appeal, its joy, its simple structure, its durability and flexibility.